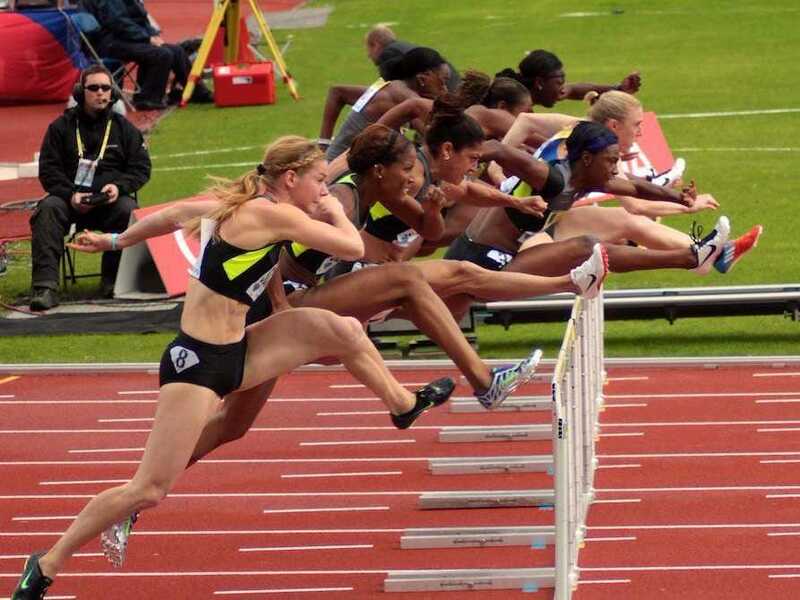 (Wikimedia Commons) How you handle the hurdles is extremely telling. We all face obstacles in our lives and careers — and while they canmake us better and stronger, they can also put us over the edge. It turns out, the ability to get over those hurdles and persevere is the strongest sign of our ability to succeed, according to Mark Goulston, a psychiatrist, author, and former FBI hostage-negotiation trainer. "Possessing the skill of handling obstacles well demonstrates a high level of self-reliance, good judgment, and resourcefulness," he says. "The more proactive and resourceful you are, and the better your judgment calls and decision-making are when you're dealing with an obstacle, the greater the trust and confidence others will have in you." And where there's trust, there's success. Goulston says savvy hiring managers will use the interview to determine whether you have mastered this skill and possess these traits. "If you give any indication that you don't handle obstacles well, the employer will assume you're the type of person who will just dump your problems on your boss," he says. And nobody wants to hire that guy. Goulston, who now works as a business adviser and consultant for executives and employees at big corporations, including GE, IBM, and Goldman Sachs, says he worked with a head-hunting firm to come up with the best questions for identify the top candidates for jobs. not having the skills to do what was expected of you. not being able to develop skills you needed and having to attain and use resources outside yourself and your group/department. having to attain and use resources outside your company. not being clear with what you were being asked by a superior who intimidated you. having to gain cooperation from people within your group or from another part of your organization who appeared non-cooperative or kept putting you off. dealing with downsizing in your department or group. dealing with a reprimand or negative performance review. having to hold accountable and confront a difficult person about something they were doing wrong or something they were failing to do. dealing with a mistake you've made. dealing with the biggest setback in your career.